Why get a massage? According to a survey conducted by the American Massage Therapy Association, 28% of Americans who get a massage do so for relaxation and stress reduction. So that’s quite a few people who believe it works for them. But aside from individual feelings, what exactly do we know about massage and how it relates to stress and anxiety? And what does the research have to say about that? Stress is your body’s response to demanding circumstances. Working long hours or to a deadline? You’ll experience stress. Preparing for an interview? Definitely stressful. Toddler having a meltdown? That’s no doubt stressful for both of you. When you’re stressed, your blood pressure goes up, your breathing and heart rate quicken, and you feel jittery and distracted. All this is useful if your stress is before a sporting event, less useful when its a constant in your daily life. Anxiety, on the other hand, isn’t necessarily a reaction to circumstances. Most often, it’s related to anticipated future or potential stress. As with stress, anxiety isn’t necessarily an immediate health problem, although it’s unpleasant. Feeling a bit anxious about an upcoming exam, the imminent birth of a baby, or doing a presentation can give you a push to prepare as best you can. But anxiety becomes unhelpful when it is overwhelming, requiring you to focus all your energy on surviving your immediate feelings rather than addressing the cause. 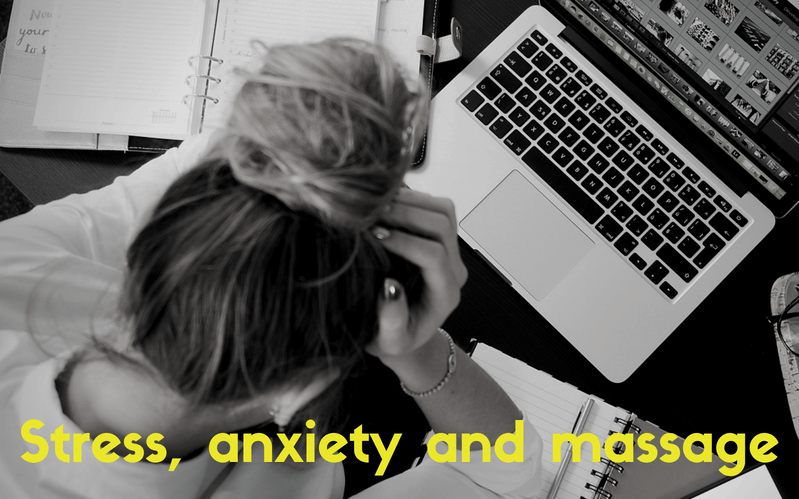 Pacing, nail biting, trembling, and vomiting are signs that anxiety is veering into unhelpful territory. Phobias: subset of anxiety disorders characterised by persistent fear of a specific thing. Panic disorder: anxiety disorder characterised by reoccurring panic attacks. While stress levels are largely subjective, studies focused on pain, sleep, and other outcomes often find that patients report decreased stress levels as one of the major benefits they receive from massage therapy treatments. In one study on pain in acute care settings, more than half of the patients mentioned relaxation in their survey responses. One described the experience of receiving massage as “very helpful, soothing, comforting, and relaxing,” which is notable considering how stressful being hospitalised is. Improved emotional well-being and sleep were also mentioned by many patients and nurses, both of which are good indicators of stress reduction. Most studies done on massage and anxiety have focused on specific populations. One study found significant improvement in both state (long term) and trait (immediate) anxiety in children with cancer and blood diseases who received Swedish massage. Another measured the physiological responses to stress (blood pressure and pulse) in hospitalised children and found similar results. Cardiac care patients were the focus of another study. Again, massage was shown to be helpful at reducing anxiety. Still, larger and broader studies on the matter still need to be done. If you’re feeling stressed or anxious, massage therapy is worth trying. The evidence is still coming in, but is promising. Are you ready to give it a try? 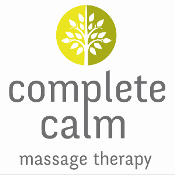 Book your next massage today.